by Guy Berard, MD and Sally Brockett, M.A. 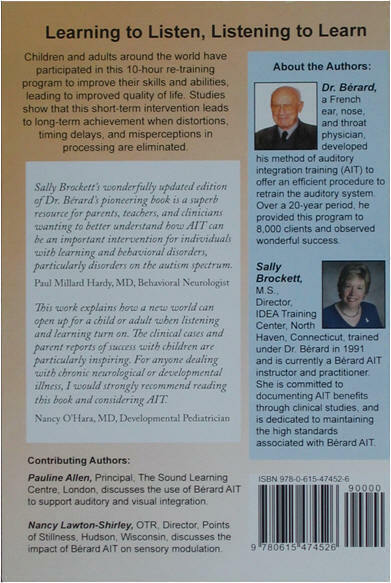 If you are a parent or teacher working with individuals who struggle to process auditory and sensory information, you will find that this book offers new understanding of these problems, and most importantly, explains the intervention called Berard AIT. This 10-hour training program reorganizes the dysfunctional auditory and sensory center so the brain no longer gets overloaded with confusing information. Dr. Berard recognized that the evaluation process should not stop once hearing impairment is ruled out. The focus should turn to how the individual hears. 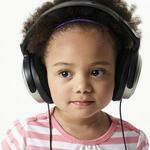 Are there distortions, timing delays, misperceptions, sequencing problems? These disruptions will interfere with processing until the auditory system is reorganized and balanced. Hearing Equals Behavior: Updated and Expanded is an important addition to the small collection of resource books that focus on auditory processing problems and associated learning and behavior difficulties. This 300-page book explains the concepts underlying Dr. Berard’s method and how he developed his retraining program through years of detailed clinical observations. Professionals familiar with Berard AIT recommend his program for those struggling with learning and behavior. “Some of the greatest discoveries in medicine emerge not from basic research!, but from astute clinical observation, hypothesis generation, and refinement of the therapeutic technique without necessarily being able to fully scientifically explain the success of the treatment. Acupuncture is a prime example and Dr. Berard’s work on AIT is another. "As pediatricians caring for children with autism, we are often looking for interventions that can truly impact the lives of our patients. 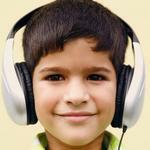 Auditory Integration Training is certainly one of them. 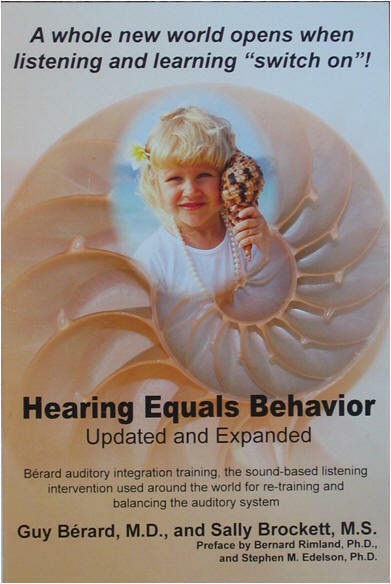 "Hearing Equals Behavior", Sally Brockett's updated and expanded edition of Dr. Berard's work, explains how a new world can open up for a child or adult when listening and learning turn on. The clinical cases and parent reports of success with children with dyslexia, autism and depression are particularly inspiring. And as a clinician always trying to find out why something works, the extensive discussion of the theories behind AIT is fascinating. For anyone dealing with chronic neurological or developmental illness, I would strongly recommend reading this book and considering AIT."